One of the primary issues in the worldwide energy transition is to design and create the grids, IT and market structures that form the blood vessels and neural system to serve a sustainable, renewables-based, highly resilient and digitalized energy economy. This economy is best described as an Internet of Energy (IoE). The Dutch province of Zuid-Holland steps up to take a lead, and asked FABRICations and Kamangir for a ‘nowcasting’ study: what are the potentials of the energy network to become a smart multi commodity grid? Zuid-Holland is a major local and international energy hub. The port of Rotterdam has some of Europe’s largest international energy flows, refineries and chemical industries and is situated next right to major greenhouse industries and cities. This results in opportunities to link different energy realms through new physical infrastructure (grids, energy storage, energy conversions) and institutional infrastructure (markets, roles, IT). Currently, CO2 and hydrogen pipelines, an open heat network for residual heat from industry and geothermal sources and first smart grids are in place and extended. In addition, the region is a home to pro-active DSO’s and TSO’s, leading international industries and knowledge institutes, local energy tech startups and local initiatives. All of these parties are now working together to create an important first step towards the IoE: a Smart Multi Commodity Grid. The SMCG is designed to be Smart in order to create flexibility and to ensure optimal utilization of energy assets. Thus preventing billions worth of grid investments. Multi Commodity refers to the integrated approach to three energy carriers: molecules, electrons and heat. Each with its own interconnecting Grid. Finally we anticipate on the development of interoperability between various resources and carriers, each complemented with their own storage options in order to ensure the highest level of reliability, resilience, future-proofness and sustainability. 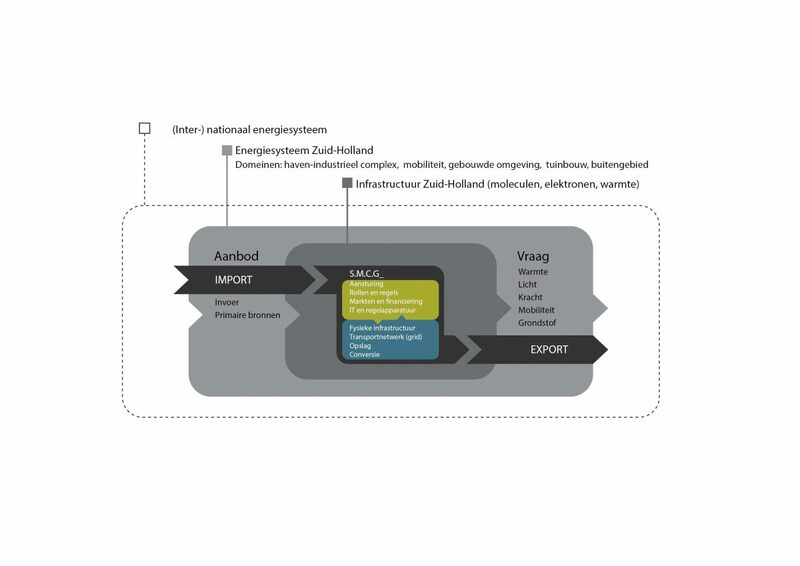 This study lays down the current topology of the energy system in Zuid-Holland with a legend and vocabulary especially developed to describe the key elements of the SMCG. It does so for each energy carrier, from import/primary sources via transportation and storage all the way to use and conversion to other energy carriers. Furthermore this study describes the role of the SMCG and lists current innovative projects in various energy domains. As such it forms a basis for the future exploration of different SMCG designs. Some of the first insights are that the current port-industrial cluster should not be regarded primarily as a site of energy production with its high carbon emissions, but as a flexibility machine through its disposition to convert and store energy at a tremendous scale. Secondly, it ranks different storage options though their energy densities and relates storage to demand side management and grid capacity, raising questions about optimal siting of storage options. Thirdly, it discusses the likely increasing distributed nature of energy functions beyond ‘prosumerism’ to such functions as net balancing, energy conversion and energy flexibility and commodity trade. Lastly, it proposes a smart-first digitalization approach in order to create a future-proof, resilient, reliable and affordable SMCG. This report provides a guideline for the next phase of the development of the Smart Multi Commodity Grid, a guideline to identify regional opportunities and to develop scenarios that enable us to lead towards a desired future. 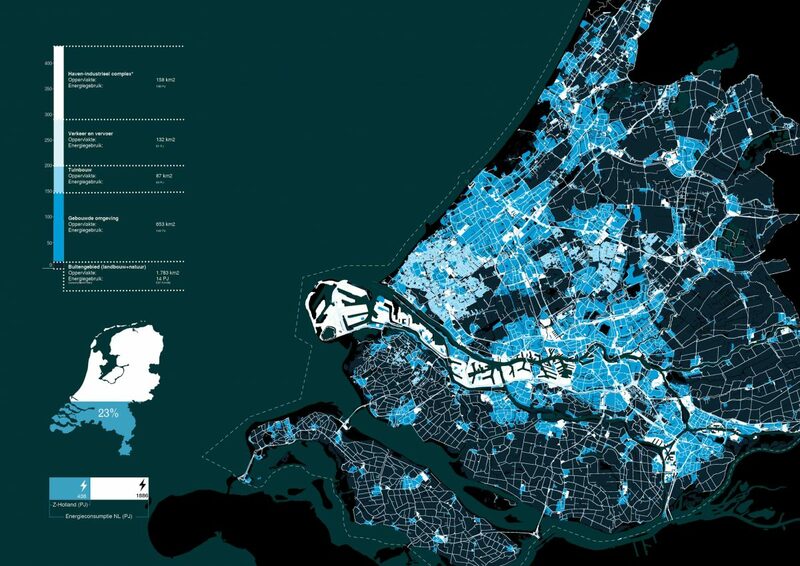 The province of Zuid-Holland provides an excellent basis upon which a future-proof energy grid can be developed, connecting a tremendously diverse ecosystem of prosumers to a variety of renewable energy resources as well as to one another. 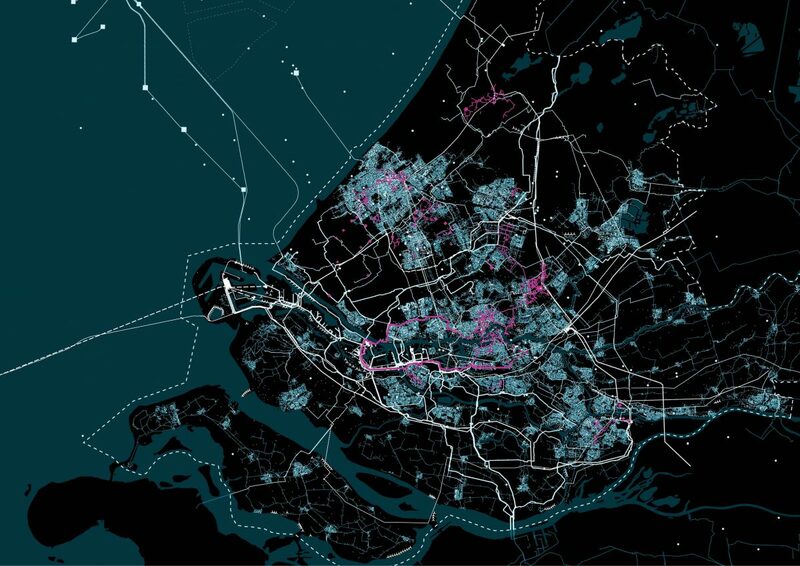 The region serves as an optimal breeding ground for the Internet of Energy, and may well serve as an example for other metropolitan areas in Europe and the rest of the world.